Thank you for a wonderful Beach Christmas 2017! 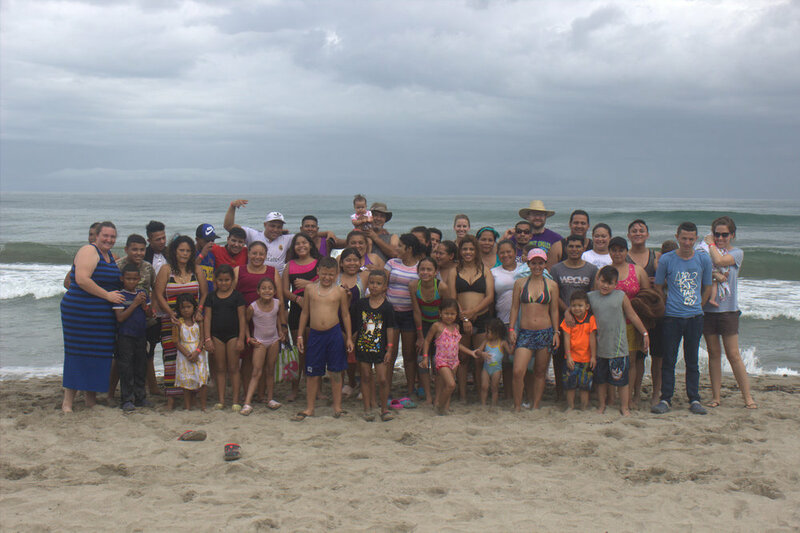 Our annual Beach Christmas trip in December was another fantastic experience for our BC family, and we are so grateful to the sponsors who made it possible! Due to road construction en route to our usual location in Amapala, this year we spent Beach Christmas in a new location – Tela. 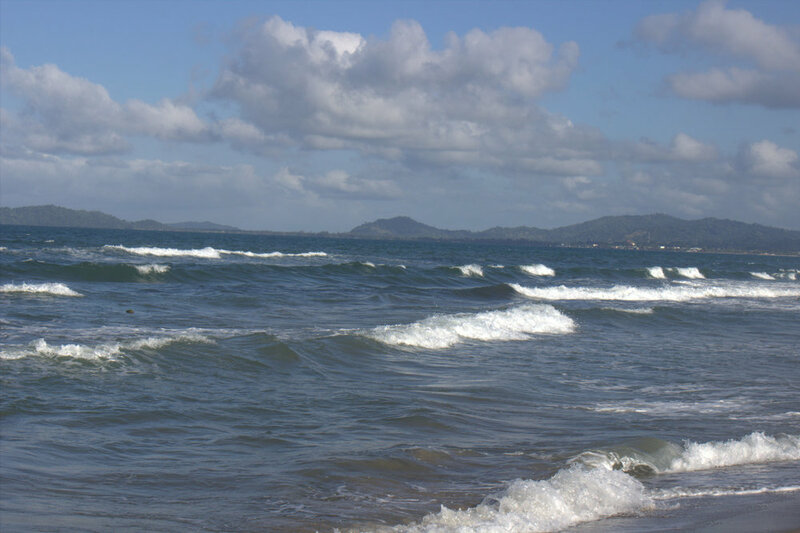 Tela is a beautiful beach city located on the northern coast of Honduras. We weren’t sure how we would like the change of venue, but once we arrived and saw the beautiful views, we knew we were in for another fantastic weekend. After checking into our hotel rooms, everyone got changed and headed to the beach. 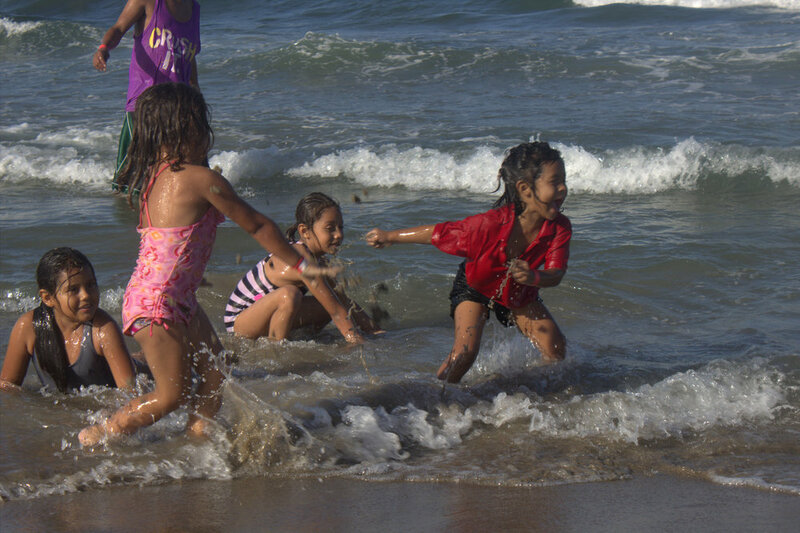 The water in Tela has significantly more waves than Amapala, so it was fun watching many of the kids that were with us experience that for the first time. People ran and jumped in the waves, others decided to play soccer, the kids started building things in the sand, and some chose just to grab a Coke, sit and enjoy the view. Watching everyone have the opportunity to just relax and just spend some distraction-free time together is one of the biggest blessings of the trip. After everyone got their fill of the waves and the sand, they moved to spend time in the hotel’s beautiful pool. There weren’t many other people staying at the hotel at the time, so we pretty much had the pool to ourselves. 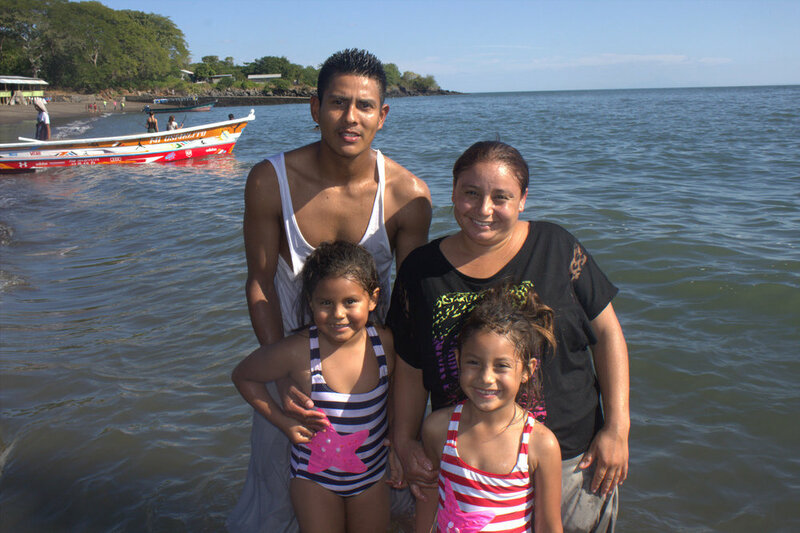 Again, we loved getting to watch the kids enjoy the water – and even more, we loved watching the hardworking parents get to spend some precious, quality time with their children. The next day after waking up and spending some more time in the pool and ocean, we formed a circle with patio chairs and began to open presents. Thanks to generous individual sponsors, each member of our BC family was able to receive a new pair of shoes, an outfit and an extra gift. The presents are certainly not the most important part of the whole trip, but it is always a joy to share in this tradition together and share the excitement. After spending some more time playing in the afternoon, it was time to head back to the city. We say it every year, but Beach Christmas really is such a special time for our BC family. The teens and education students work so hard during the year to make sure they stay on top of school to pass their classes. And the education parents work doubly hard to provide for their families and keep their kids on track. Being able to bless them with a weekend to pause, reflect, relax and share moments together is an incredible gift. We are so thankful to the sponsors who made this trip happen. Thank you for your generous hearts and your love for our BC family! We hope you are having a wonderful start to 2018! You can view more photos of Beach Christmas 2017 on our Facebook page. Dixon has been a member of our BC family for the last several years. Anyone who knows Dixon knows that she is hilarious and full of personality. She also has a very caring and responsible spirit that makes her someone you can count on. Dixon has come so far in the time we have known her. When we first met her, she still had the same hilarious personality, but it was matched by a hardness and a quick temper that she had developed from past experiences. Over time, we watched her soften to us, to others, and to God as she began to trust, love and see a future for herself. 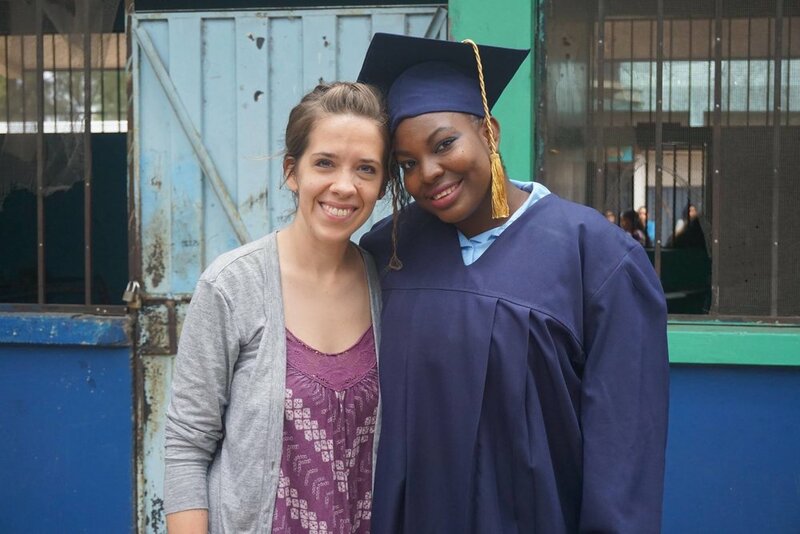 In December, we got to watch this amazing girl achieve something remarkable: graduating high school! She worked so hard for that moment, and words cannot express how proud we are of her for her commitment and dedication to reaching her goals. Often in urban ministry moments like this are few and far between. It is definitely a moment of beating the odds. High school graduation is a huge accomplishment, and we are so grateful that Dixon has persevered and trusted God to get to this point. We love her and can't wait to see where the future takes her! We met Marisol because she needed a house for her precious little family. We have grown to love Marisol for so much more. When our church first started growing and needing bible class teachers, Marisol volunteered. We never really know what that is going to mean as far as commitment or ability, but Marisol has proven to be a wonderful teacher who loves her little charges dearly. She has also become a dear friend. Rarely does a day go by that she doesn’t message us to remind us she praying for us and say some blessing over us. She checks on our kids and lends a hand in any way she can. Often before church she will come grab Abby so that I can focus on taking attendance and she can show off Abby to the congregation. She keeps her eye out in the market for baby clothes and shoes that she loves to surprise me with. Her hugs and smile are something we all look forward to each week. Most of all she is a wonderful mother to her two kids. Both Yireth and Samuel have very strong personalities, but she parents them in a way that makes them polite and spirited. The kids are always among the favorites of the mission teams that visit and Samuel, ornery as he is, is a personal favorite of mine. Help us celebrate Christmas with this sweet family! If you would like to sponsor Marisol, please leave a comment below. The cost of sponsorship is $150 to cover food, transportation, lodging and presents for the weekend. Donations can be made online at bchonduras.org/donate or by sending check contributions to Breaking Chains Honduras at P.O. Box 20454 Oklahoma City, OK 73156. When I got the call from a friend of a friend to help out an unknown pregnant girl, I never imagined that she would become a daughter to me. Over the past year of living in my home, Aroni has opened up her shy heart to our family. Aroni has not allowed her horrific past to destroy her beautiful heart or her deep faith in God. She has stories that you have no choice but to doubt, but she has the scars to prove it. Aroni is kind and loving and the best mother to Ian. Ian adores her and she adores him. She struggles with her self-esteem and a slight rebuff can quickly turn into a tearful and intense apology. She is a quiet but funny girl. She is a wonderful artist and often uses her skills to make little cards and posters to brighten my day. Aroni is hungry for a place to call home and a family of her own. I am so very thankful that we can help provide that. Roly poly Ian is our little man of the house. At one year old he is just starting to play around with the idea of walking. He’s rough and tumble and loves to wrestle around on the couch. His giggles fill our house with joy. He’s definitely a mama’s boy but loves to play as long as mama doesn’t stray too far away. We are so blessed by both of these sweet spirits. We are excited to see Ian’s face as he enjoys the ocean for the first time and watch Aroni share the experience with her baby boy. 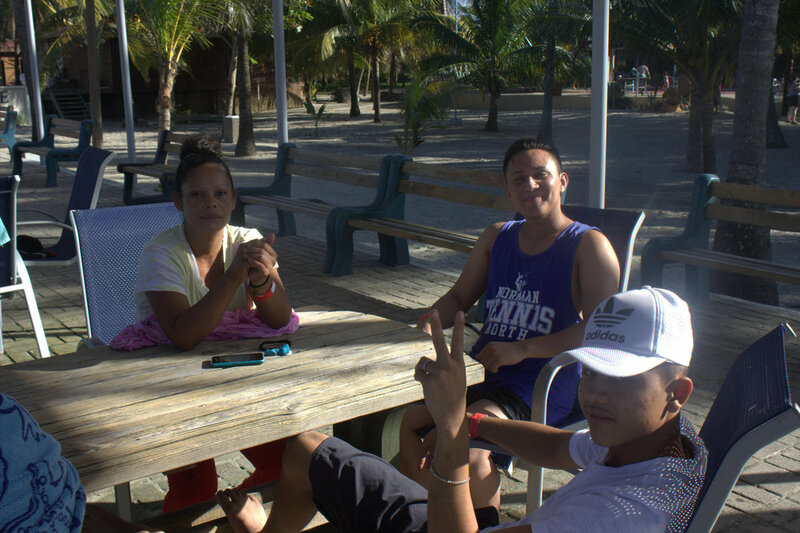 Join us in sharing family vacation with Aroni and Ian. (Because Ian is so small, he doesn't really factor into the food, lodging and transportation costs. So one sponsorship of $150 wil cover both Aroni and Ian). If you would like to sponsor Aroni and Ian, please leave a comment below. The cost of sponsorship is $150 to cover food, transportation, lodging and presents for the weekend. Donations can be made online at bchonduras.org/donate or by sending check contributions to Breaking Chains Honduras at P.O. Box 20454 Oklahoma City, OK 73156. Oscar is a doer. I don’t know what he does during the day when he is not at the building, but I guarantee he is doing. He and Alba are our house parents and watch over the building and the teens during the nighttime hours. I kind of have to stay on top of what Oscar is doing or I find things in the garden or around the building that I don’t expect to be there. Like the two papaya trees growing in the garden I found last week. Because of Oscar’s doing nature, his hands are into many things. He helps with church services, communion, and other project type things around the facility like building our new doors. I appreciate his many talents and know-how of things related to Honduras and the culture. We love how he cares for all in our ministry and in the building. Please help our wonderful house dad have a wonderful beach Christmas! If you would like to sponsor Oscar, please leave a comment below. The cost of sponsorship is $150 to cover food, transportation, lodging and presents for the weekend. Donations can be made online at bchonduras.org/donate or by sending check contributions to Breaking Chains Honduras at P.O. Box 20454 Oklahoma City, OK 73156. Juan is Lorna’s husband and Allison and Jennifer’s father. And he is an excellent one. He is incredibly committed and loves them as well as he can. He struggles for work a lot of times, but always finds ways to help make the ends meet for them. Juan is a quiet yet cheerful person and is always willing to help carry benches for church or help with anything you might be working on. He is at all the girls’ school events and meets the bus to pick them up most days when they finish tutoring. Juan is the most polite person I have ever met I think. I have had him come to our house at different times to help paint and he always is so kind and hard-working. (And sometimes annoyingly polite in that he asks me every time for permission to get water no matter how many times I tell him to get it whenever he wants). 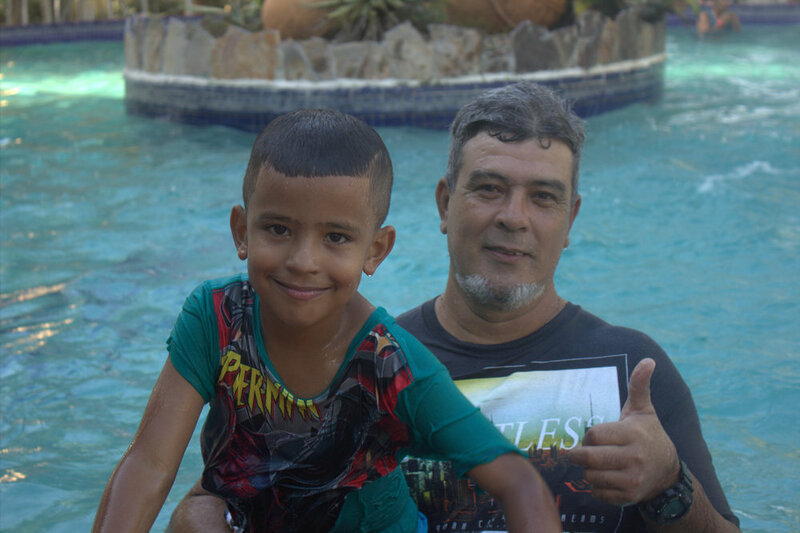 Please help to give this dedicated father a wonderful Christmas with us and his family at the beach! If you would like to sponsor Juan, please leave a comment below. The cost of sponsorship is $150 to cover food, transportation, lodging and presents for the weekend. Donations can be made online at bchonduras.org/donate or by sending check contributions to Breaking Chains Honduras at P.O. Box 20454 Oklahoma City, OK 73156.